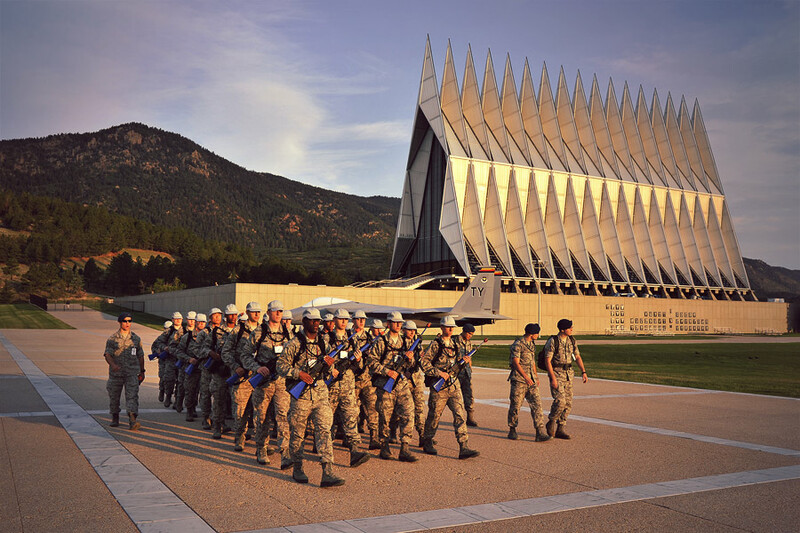 The United States Air Force Academy Cadet Chapel is located on the Academy base, north of Colorado Springs. 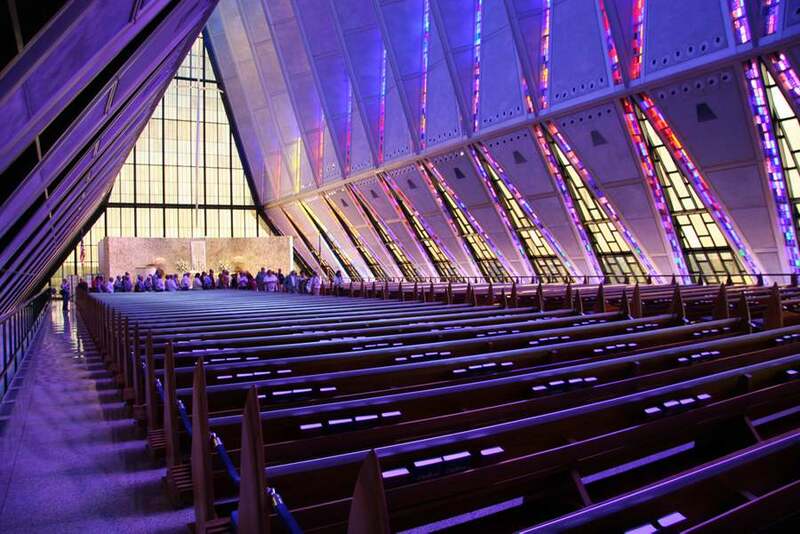 This modern chapel has different areas where worship for different religions can take place. 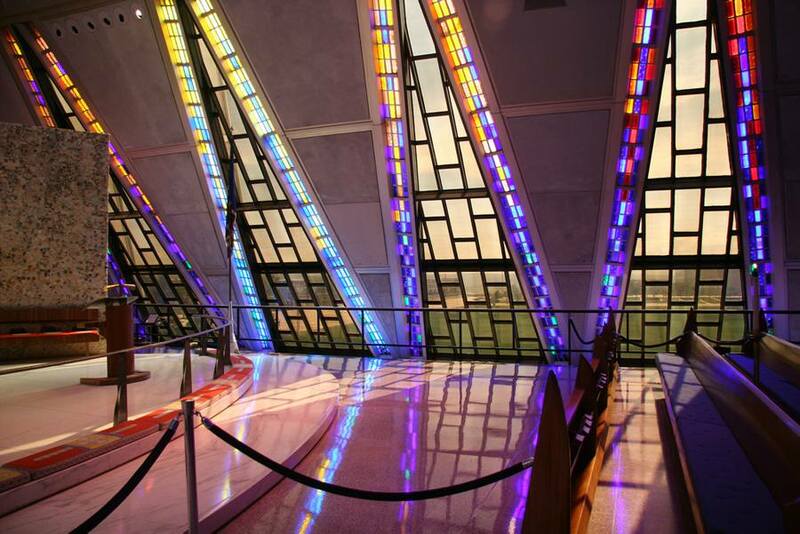 For example, the Protestant Chapel is located on the main floor with the Catholic and Jewish Chapels right below it.